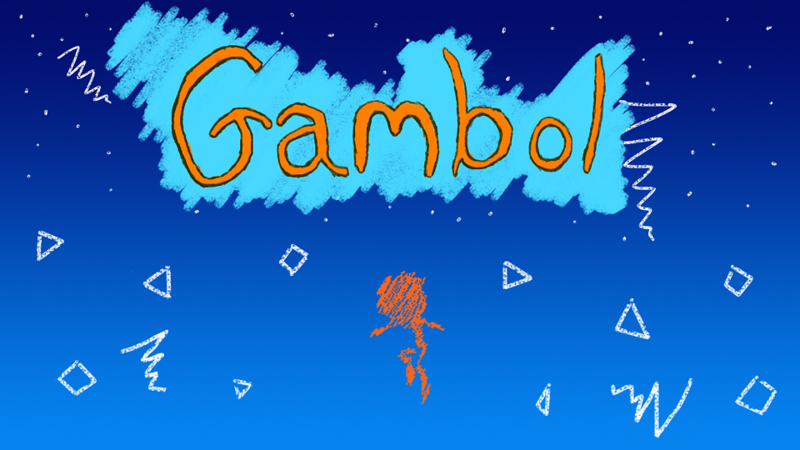 Gambol is a game that is based around one simple mechanic: wall jumping. 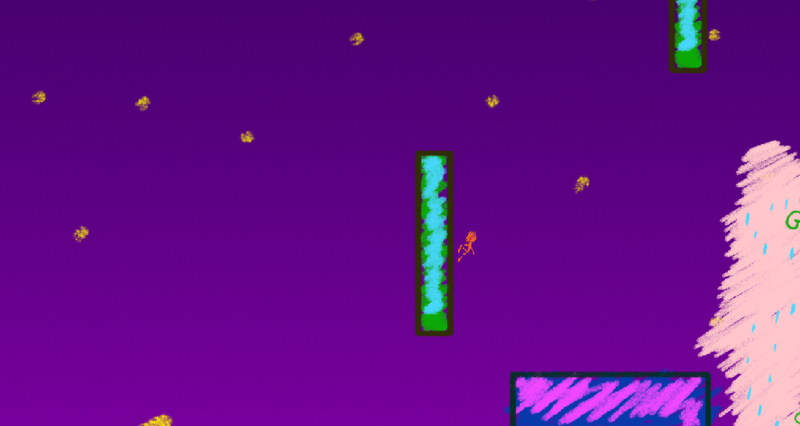 With only being allowed to move left, right, and jump, the player must wall jump from platform to platform to reach the goal of each of the five levels. This is the first jam I have completed entirely on my own, so I attempted to make something simple, yet fun, with very few mechnics or things to learn before being able to jump in and enjoy oneself. 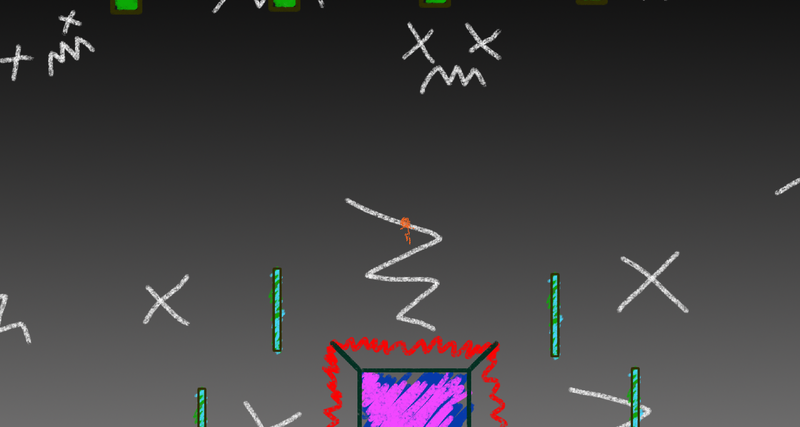 I had been working on a couple games for a while, but suddenly stopped last month when Satoru Iwata passed away. Watching some tributes to him on youtube really reminded me of what games are really all about: fun. It's a word that we don't hear so much, even when I was in university studying art, we talked about theory, business, making a living, etc. Fun was just something for kids, not something that one can make a living off of. But I was wrong, Iwata's passing reminded me of why I wanted to make games as a kid, and rekindled the pasion I had as a child for game development. I believe that due to this I was able to create this game for the jam with little struggle, and had a wonderful time doing it. 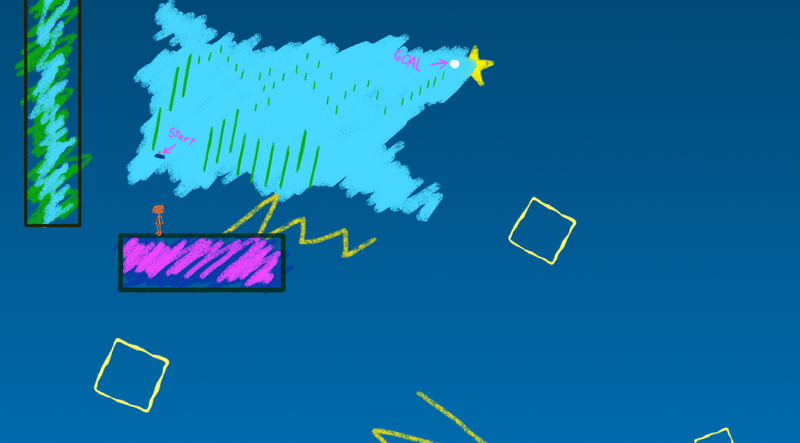 In truth it is the first game that I ever have completed by myself that I am happy with, and enjoy playing. So while the game may not appear to have embraced the theme of growth, I feel that I have embraced it within myself. Not by growing up and becoming an adult, but rather rediscovering a pasion that I had nearly forgot was inside me for all these years. I've grown up and became a kid again.